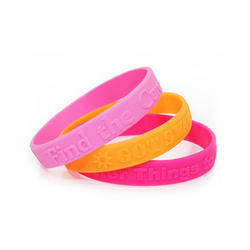 We are offering Promotional Silicone Wristband. First Cord Solutions Pvt. 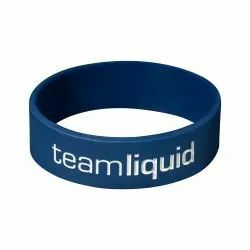 Ltd. as a pioneer company of the designer products, we are immersed in offering a matchless array of Promotional Wrist Bands. These bands are designed and developed employing first-class grade material and with the aid of sophisticated machines, tools & equipment. Apart from this, we are offering this band in standard as well as modified forms. Color: Red, Blue, Green,Yellow, Black, Pink, White.